FILE PICTURE: Glynnis Breytenbach Credit: Tracy Lee Stark. Breytenbach and her former attorney, Gerhard Wagenaar, face charges of contravening the NPA Act, and defeating the ends of justice. 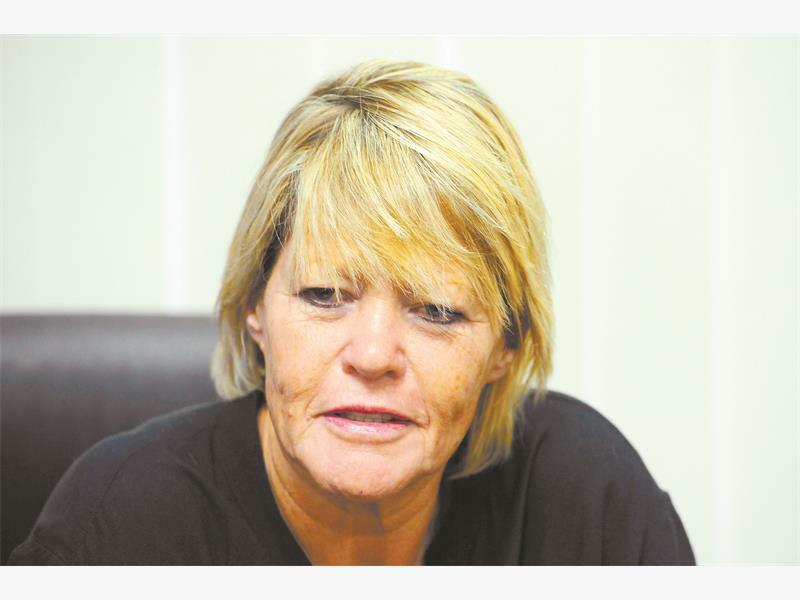 Former State prosecutor and now member of parliament for the Democratic Alliance, Glynnis Breytenbach will have to wait until next year to know her fate relating to the charges levelled against her, including defeating the ends of justice, after the case was postponed on Wednesday. Breytenbach and her former attorney, Gerhard Wagenaar, face charges of contravening the National Prosecuting Authority (NPA) Act, and defeating the ends of justice for allegedly shredding work-related documents and deleting her private files from her work laptop. After hearing heads of arguments, Magistrate Brian Nemavhidi said he will deliver his judgement on February 28, 2018. On Wednesday, State Prosecutor Raymond Mathenjwa argued for almost two hours that Breytenbach and Wagenaar contradicted the act knowingly and consciously. Previously, Breytenbach said she deleted the documents on the laptop to protect her privacy. She repeatedly explained that she did not use any criteria when deleting the files, she claims she deleted what she thought would harm her privacy. She also said that she was cautious of the NPA incase they tampered and manipulated contents of her computer once she had handed it over. Mathunjwa attacked Breytenbach’s testimony and said it was impossible for her to delete the files without having checked. Mathenjwa argued that evidence previously presented in court stated there were more than 41 folders on the laptop, but Breytenbach hired an expert to permanently delete 13 folders. This relates to documents deleted in a matter of a mining rights case involving Imperial Crown Trading (ICT) and Kumba Iron Ore subsidiary Sishen Iron Ore.
“This is the data they have retrieved and that’s what they were protecting,” Mathunjwa said. Mathunjwa said it does not make sense that the two accused claim to not have seen the documents before deleting it but deleted the most important files. Barry Roux, for Breytenbach, said his client as an NPA official had the right to delete the files. “Employees do it all the time, they delete emails, documents and correspondence,” Roux said. Roux said the State has failed to prove that both accused intended to act unlawfully when shredding documents. Apart from shredding documents, Breytenbach also had a mirror image created for her computer contents in the event of manipulation after it was handed over. Breytenbach was suspended from the NPA in 2012. She was cleared on numerous disciplinary charges, but she resigned from the NPA in 2014. She believes her suspension in April 2012, was a bid to stop her from prosecuting former police crime intelligence head, Lieutenant-General Richard Mdluli, amid political interference. In June, Nemavhidi acquitted Breytenbach and Wagenaar on two counts of defeating the ends of justice relating to the wiping of the information on the NPA laptop while she was on suspension in 2012. However, they are still in court for the remaining charges relating to the four additional charges of contravening the Section 40 A of the NPA Act 32 of 1998 — which prohibits unauthorised access to, and modification of official computer content.